Using fresh flowers and foliage you will create your own wreath. step by step you will build up your wreath till you are finished. Christmas is not that far away, so we are already thinking about dressing our doors and windows. 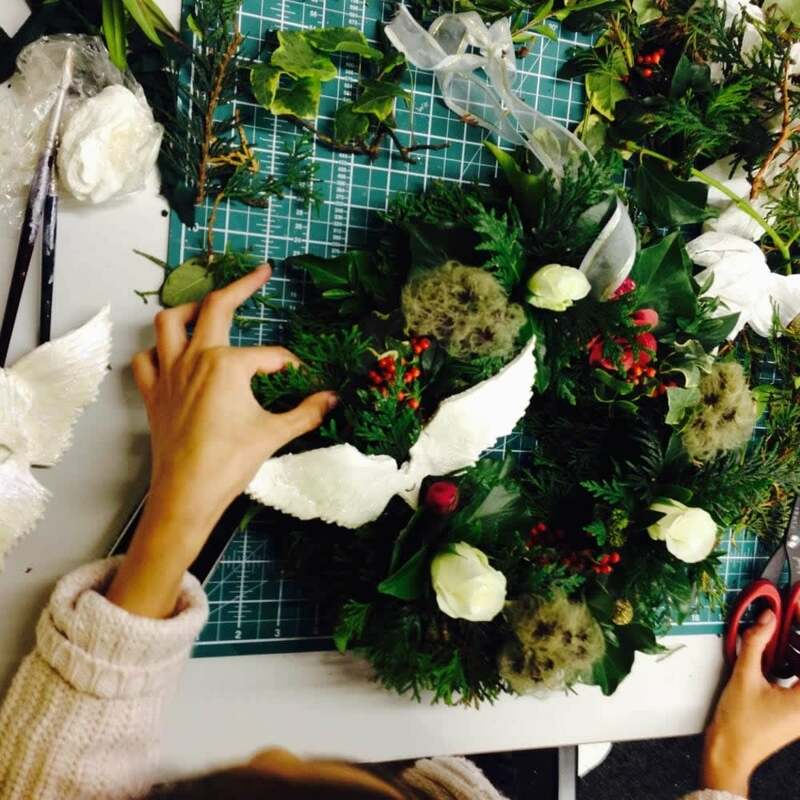 We have two wreath-making workshops on this date but you can decide whether you want to create an angel wreath or a Santa one! This wreath will be made from silvery, whites, reds and golds, ivy, wings/Santa( made by you). Sculpt and bake them then add some pretty sparkles and ribbon for a truly original wreath that you can hang up year after year. All the materials will be supplied along with coffee, Tea and mince pies!! Our tutor Dana originally trained as a theatre designer, working on plays, operas and even the Edinburgh Tattoo. She studied and practiced in set design, costume, puppetry and mask making. A self titled ‘Jack of all trades’ she loves creating and developing the art workshops. A bit about the brand: This is where the magic happens, we create, learn and have a lot of fun. From lino-cutting to fine art card making, to kids activities we can cater to all ages and all requests, just let us know what you are looking for!